Look who signed the Guest Book. 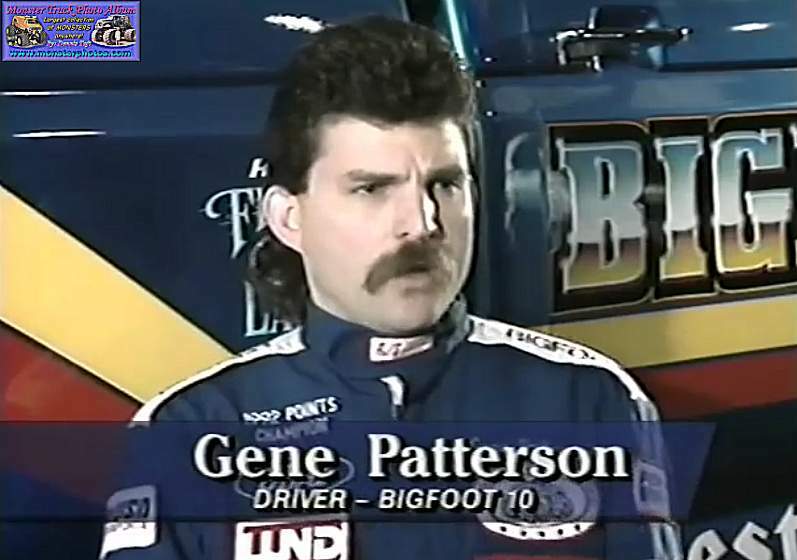 During the last 10 years, sales of Bigfoot licensed products have totaled more than $250,000,000.00. 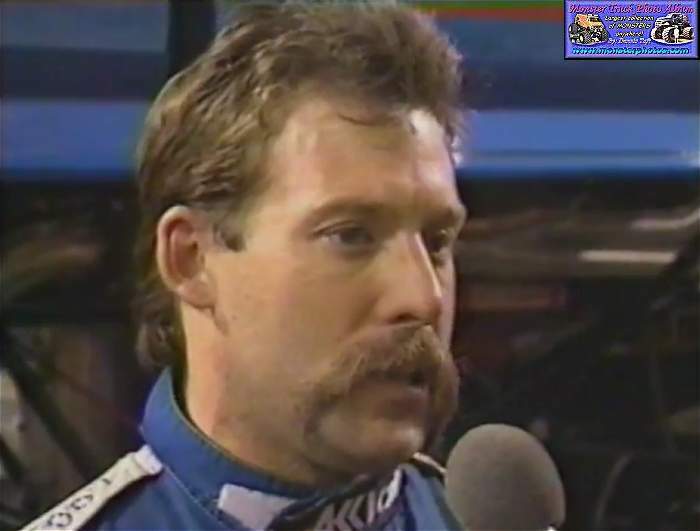 I have to add that I have helped in that figure since I have bought roughly 75 Bigfoot models at around $15.00 each totaling $1,125 not including tax. 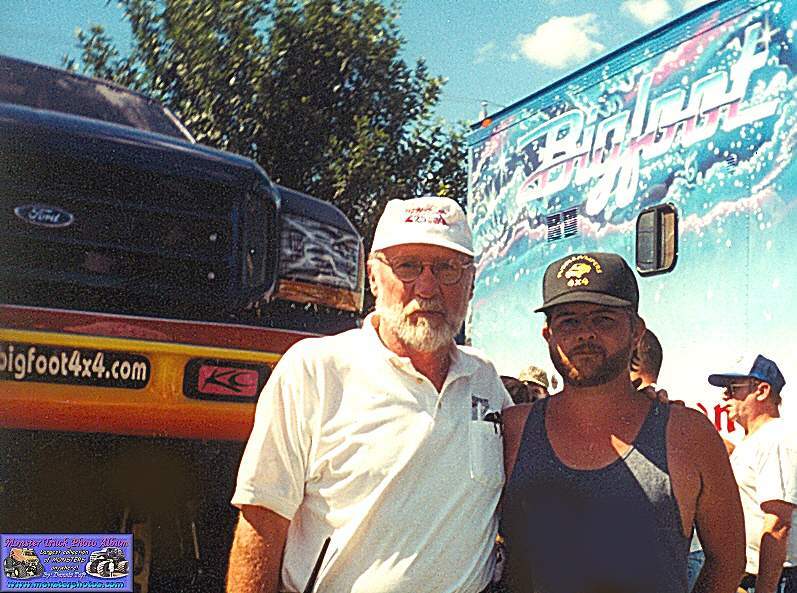 While we are on the subject of models, may I request that Bob and AMT/ERTL get together and come out with a model of Bigfoot V.
Jim Kramer inducted in the International Monster Truck Museum Hall of Fame. 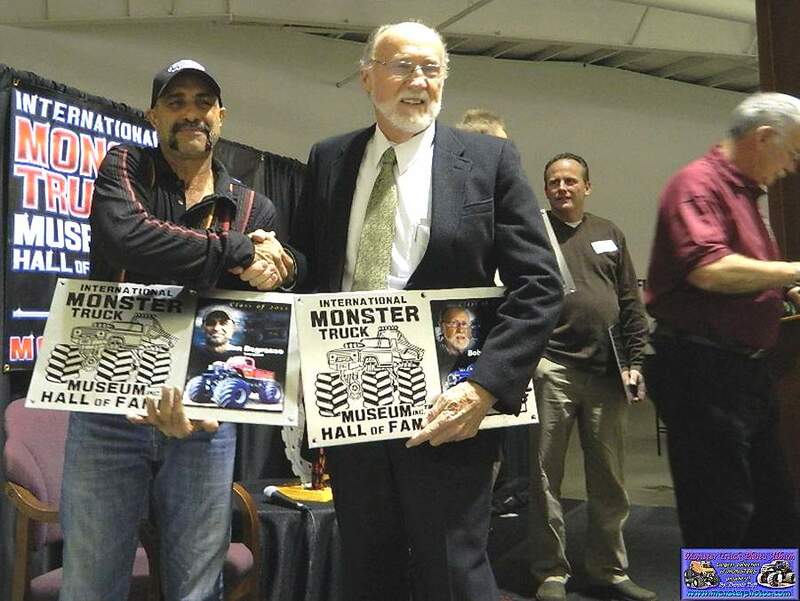 Andy Brass inducted in the International Monster Truck Museum Hall of Fame. 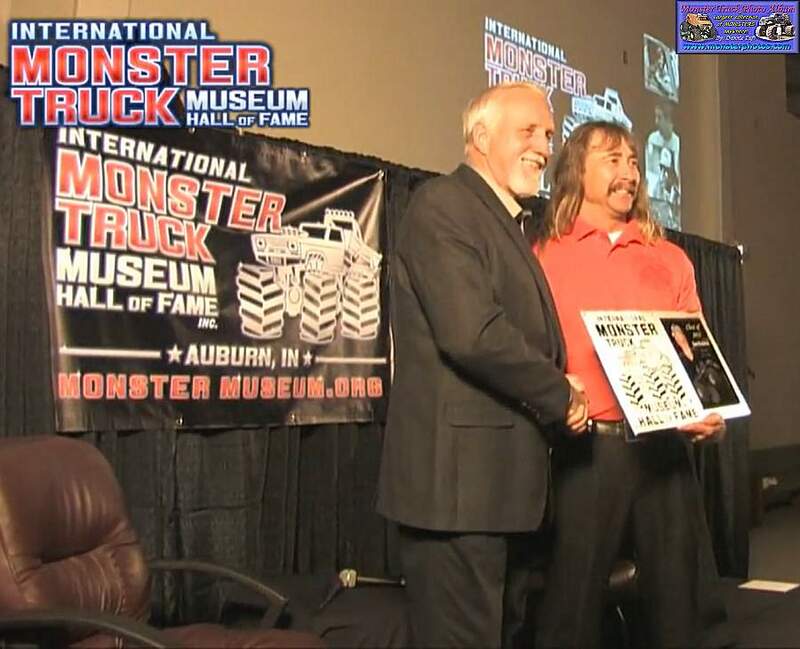 Gene Patterson inducted in the International Monster Truck Museum Hall of Fame. When you are done on my site, check out the home of Bigfoot.